Startup Refugees, set up by Finnish journalists and entrepreneurs Riku Rantala and Tunna Milonoff, gives refugees the skills to enter the workforce and set up businesses. Rantala and Milonoff got the idea for the project while doing their series Docventures, a popular combination of political documentary films and talk show. The adventurous pair felt they needed to stimulate people’s thinking rather than just allowing them to stare meaninglessly at a screen. Rantala describes his motivation behind the Startup Refugees as wanting to make a positive impact: “In our case we believe in karma,” he says. The reception centers in Finland provide the basic needs for refugees – food, shelter and water – but Startup Refugees as an organization aims to provide a sense of hope for people who have left behind war torn countries. 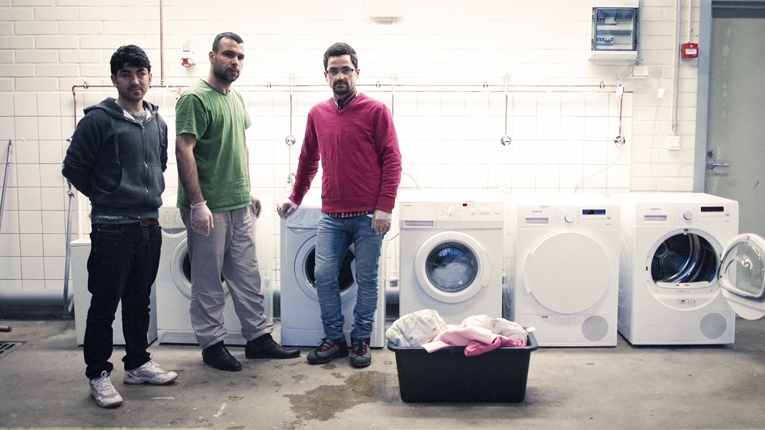 Rantala feels that not enough is being done to help refugees integrate into Finnish society. Startup Refugees believes that the work should start in the reception centers. As days in the centers can be long and boring, the program aims to make this time more constructive by giving the people the means to start their own micro businesses in the center, or working towards getting their hygiene passport to work in the center’s kitchen. Essentially the program is designed to give refugees the essential tools to allow them to work towards bigger goals. “They want to do something meaningful and at the same time make their days in the centre more comfortable,” Rantala observes. Startup Refugees receive the necessary resources by getting sponsorship from companies and people who want to help. Already 350 different companies, organizations and individuals have signed up, including Finnish gaming giant Supercell, Microsoft, the Finnish Ministry of the Interior, and the Finnish Immigration Service, as well as several communications and PR agencies, universities and research institutes. The companies and people all help in different ways: the large companies donate money, the small businesses training and equipment, and experienced business coaches their time. Companies might have many reasons to get involved: perhaps they might be looking for someone who speaks a particular language and may be able to make that initial contact from the center. The organization is able to deliver hope by providing mentoring from businesses and entrepreneurs. This aims to improve refugees’ chances of employment and also to initiate a thinking process that may allow the refugees to form their own companies. When it comes to applying funding for refugee startups the organization acts as a networking group. Startup Refugees is able to connect people in the center with investors as well as mentors to train the aspiring refugee entrepreneurs and give them the foundation to succeed. Due the unique nature of the Startup Refugees program, Rantala believes that someday it will spread outside of the country although the focus remains in Finland for the time being. “Right now [the goal] is to make this work really well here but it would be really interesting to copy the concept,” Rantala says. New startups that are born in reception centers would create diversity among the business landscape in Finland and promote exports to the Middle East via their founders’ established contacts in the region. “If there is nobody in Finland who knows how to handle the culture or how to meet the people’s needs, how will we ever do good business there?” Rantala ponders. The project also sets out to change the public perception of refugees in the media. Congratulations for this idea and project. I appreciated this statement “Sometimes they receive abuse and are spoken about like animals; people tend to forget that they’re a really diverse group of people.” I support this project. I was a refugee for more than 10 years, now I am back in my native country. A big thank to Senegal governement and other countries that allow refugees to live peacefully and gain skills and knowledge during their stay in a host country. I am now useful to serve my country. Thanks alot to UNHCR. i wish success to Startup Refugees.